The Jeep Grand Cherokee has fascinated the Chicago area’s most adventurous drivers for more than a generation, and the new models in our lineup are offering more than ever before. According to the U.S. News and World Report’s review, the Grand Cherokee is sure to satisfy those searching for a “comfortable daily cruiser, an off-road adventurer, or a high-performance monster,” and if you’ve come this far, we’re sure you’ll love how you feel behind the wheel. Contact us today to schedule your visit! 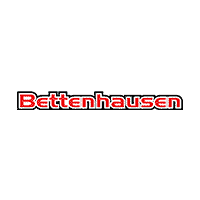 Why Choose a New Grand Cherokee with Bettenhausen CDJR? There’s no denying that the new Jeep Cherokee has a lot to offer, but if you’re still on the fence about your purchase, you should know that the team at Bettenhausen CDJR has your back! Whether you decide to buy or to lease, our finance department can help you get a great deal on the Grand Cherokee you’ve been searching for, and we even make it easy to value your trade-in! What’s more, we’ll continue to provide grade-A service for long after you’ve driven away in your new vehicle. Our service center in Tinley Park only employs trained and certified technicians, and we utilize genuine OEM parts for all of our Chrysler, Dodge, Jeep, and RAM repairs. If all this sounds good to you, it’s time for you to take a new Jeep Grand Cherokee for a test drive.